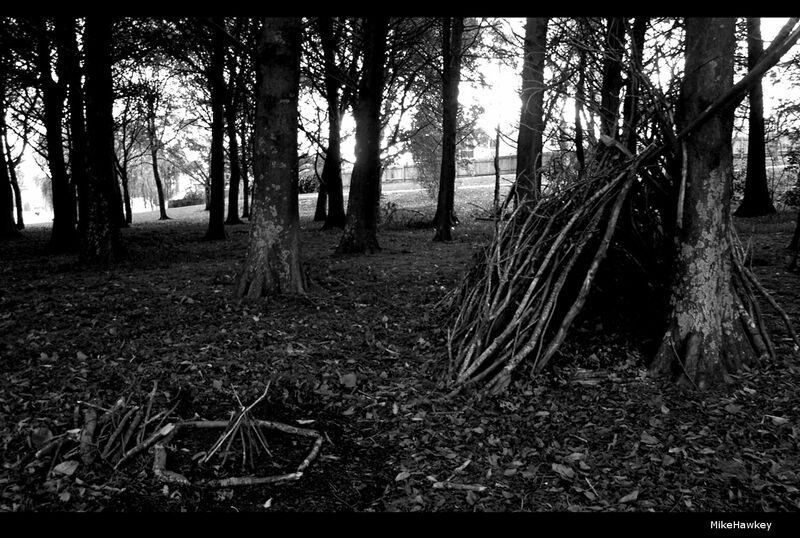 More a hut in the park rather than hut in the woods, but an interesting discovery none the less whilst having a short walk after work. Armed with the Olympus E-500, my battery was almost flat, so I rushed to get some shots off before it died. Shooting at dusk under trees at iso100 I did get some motion blur, but quite liked the final result once converted to B&W. I am assuming the hut was some form of student project or fun game for kids/family rather than someone actually using it – it would not offer much shelter. Thanks. Much more mysterious than it actually was!